Last week, we were hit by two outbreaks of a vomiting bug but that wasn’t the worst thing to happen the family in the past seven days. No that dubious honour goes to the sad fact that I had to hand the keys back to my new toy, a 141 Seat Leon. Sometimes you’re up with great review opportunities and vomit free households and sometimes, you’re down. Such is the life of a parenting blogger. Now I’m not what you’d call the most knowledgable when it comes to cars. If people ask me to describe a vehicle, I’ll refer to its colour rather than its make or model. I was also quite a late starter when it came to driving. I didn’t apply for my provisional licence (as it was known in the day) until the ripe old age of 27 and I didn’t pass my test until I was 29, which coincidentally was the same age I became a mum for the first time. I’d like to say that after a somewhat shaky start, I’ve gone on to become quite proficient at the driving and the parenting, although both do still baffle me from time to time, the parenting perhaps more so. But I wouldn’t be one to pass up an opportunity to test drive a practically brand new car so off I went at the start of June to Western Motors in Galway. There I met the lovely Robert who could not have been more helpful in showing me the basics of the car, even syncing up my phone to the integrated bluetooth system-now that’s service for you! It was a case of love at first sight when I laid my eyes on the sleek curves of the Leon and I was delighted to discover that it had just as much substance as it did style. The car is one smooth ride and made the often dodgy County Galway roads a dream to drive. While it looks big, it handles like a small car and even with my atrocious depth perception, I had no trouble reversing it. The car is ridiculously comfortable. Both front seats are equipped with lumbar support and I really felt the benefit of that, especially after long journeys. This is one thing I’ll really miss. Having an integrated bluetooth system means that making a call is so simple and no need for those lame Wall Street yuppie-esque ear pieces. I normally turn off my phone when I go driving but it was handy to have it switched on at all times to receive calls. I also discovered that having a hands free service in your car is great for time poor parents-bit late to the party on that one I reckon! Another shot of the beautiful car. Old, uglier car skulking in the background. Fuel wise,it is incredibly economical. It’ll give you 69 miles per gallon. Now I’m a tad numerically challenged,so I’m going to explain that in terms that make sense to me. €65 filled the tank and got us a few roundtrips of 60k from Caherlistrane in North Co Galway to Knocknacarra in Galway city,a few trips to our nearest town ( 8km away) for some food shops and a return trip from Caherlistrane to Ikea in Ballymun and back via Ballsbridge,. All in all,I think you’ll agree you get a lot of bang for your buck with this car when it comes to fuel (diesel). It’s also got a low level of emissions meaning it’s kinder to the environment. Speaking of Ikea, that brings us neatly to the next great feature-storage. 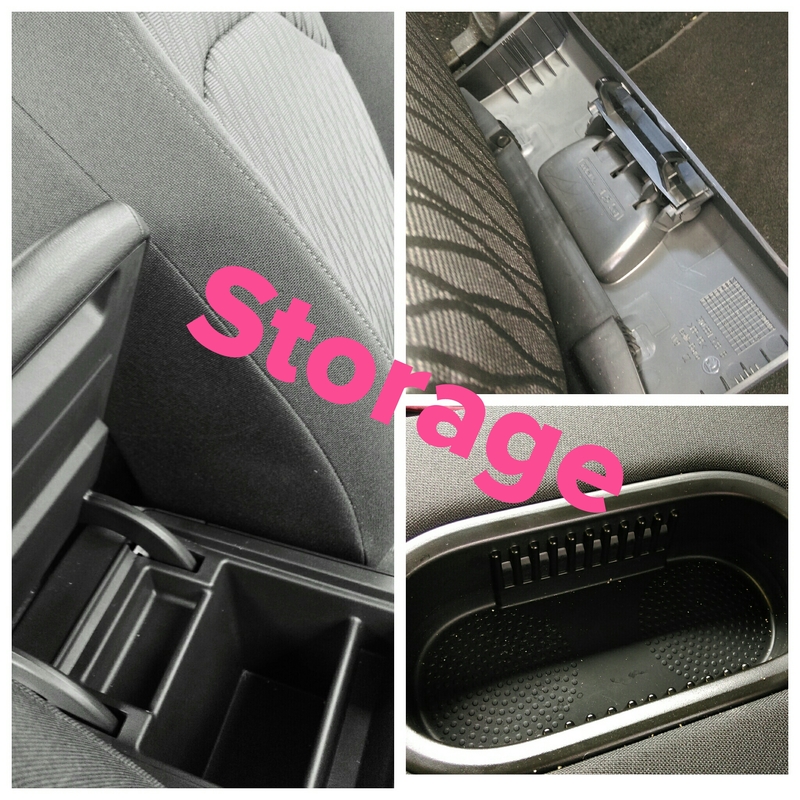 The car has loads of great little compartments dotted around and includes a neat foldable drinks tray for the kids, which they were tickled pink by. We had planned a trip to Ikea to fill the new house with crap totally necessary items and knew we’d be able to pack in a lot in the Leon but I was surprised with how much we managed to get in. By leaving the kids at home and folding down the back seats, we were able to make quite the killing at Ikea. This is what we managed to fit into the back, and we had room for more! 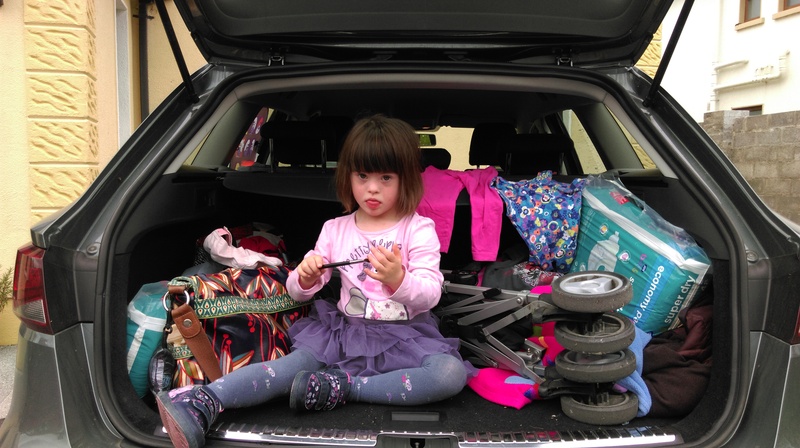 Even without the seats folded down, you still get some amount of space in the boot, which is very handy if like us you have a tank double buggy. It means we could actually store the buggy and a week’s grocery shop in the boot at the same time. Mini in the big, big boot. One minor quibble I have is with the design of the boot cover. There is no traditional grey cover attached with black cord to faff about with which is great. Instead you get a plastic sheet that you pull down and clip into place at the sides to cover the contents of the boot. 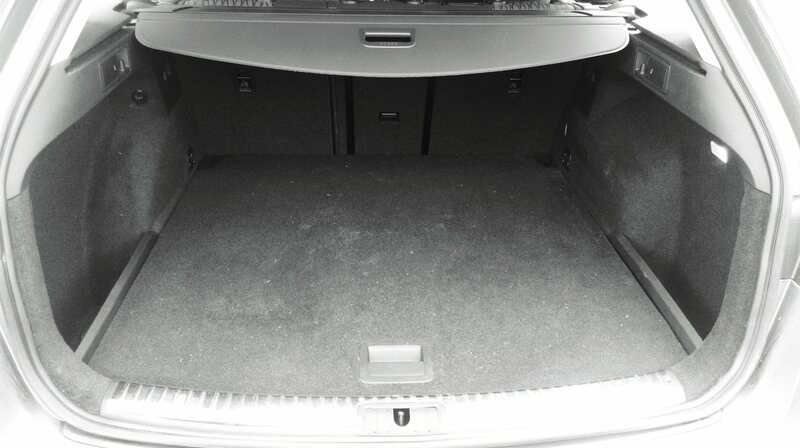 It’s very sleek and retracts easily and quickly but it stopped working for us two weeks into having the car, meaning we couldn’t leave anything in the boot as it would have been on display to everyone (this is where all those secret compartments became really useful). It could be a design flaw, but it’s a very minor one. 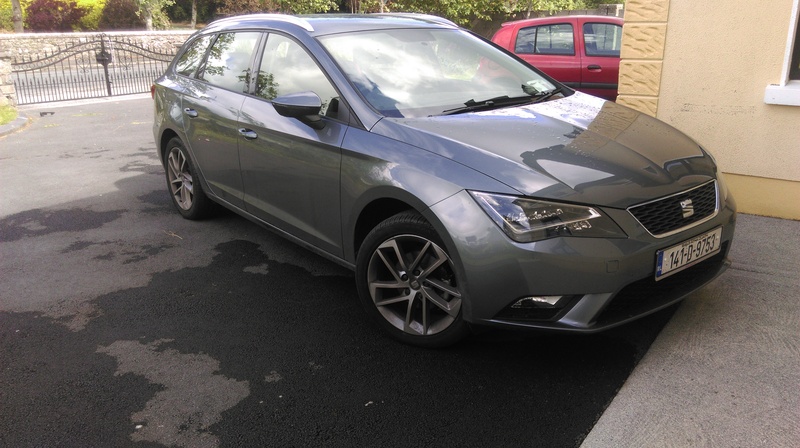 All in all, the Seat Leon is one fantastic family car-incredibly fuel efficient, tonnes of storage without feeling too big, handles very well and has the added extras of integrated Bluetooth and air conditioning while being kind to the environment. Also annual road tax will only set you back €180. What’s not to like? Check out your local Seat dealership for further info. They have some terrific offers and finance plans at the moment. 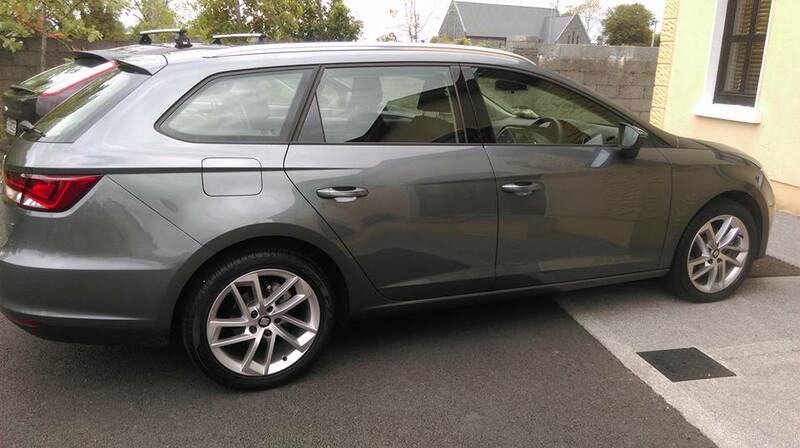 Disclaimer: I received a Seat Leon for one month in exchange for a review. All opinions remain my own honest ones. Oh the pain. I feel your pain. Well done on your review though. Maybe you missed a bit in your review? I think, they should give the car back to you just in case 🙂 It might take at least another 2 months to be sure you have it right!! Great review, sorry you had to hand it back. I was late to driving too, at age 26/27. You’re right!There’s loads more I could say but I’d need at least another six months in order to do so! !